Our industry works with some pretty amazing resolution and precision as our stock in trade. There are shops that look at tolerances in thousandths of an inch (0.001″) . The thickness of a sheet of copy paper is around 0.003″, and so a shop that can hold “half a thousandth,” is saying essentially, that their total variation is on the order of one-sixth of the thickness of that sheet of copy paper. One-sixth of the thickness of a sheet of paper! Some of our shops look at tolerances in terms of microns- that is millionths of a meter. A human hair can be anywhere within the range of 50- 120 microns, the average hair is probably somewhere around 100 microns. This means that the micron-calibrated folks are measuring at precision levels that divide a human hair in about a hundred thicknesses, and a meter in millionths. That’s pretty impressive. This is nothing compared to the photo on their site use the link below. 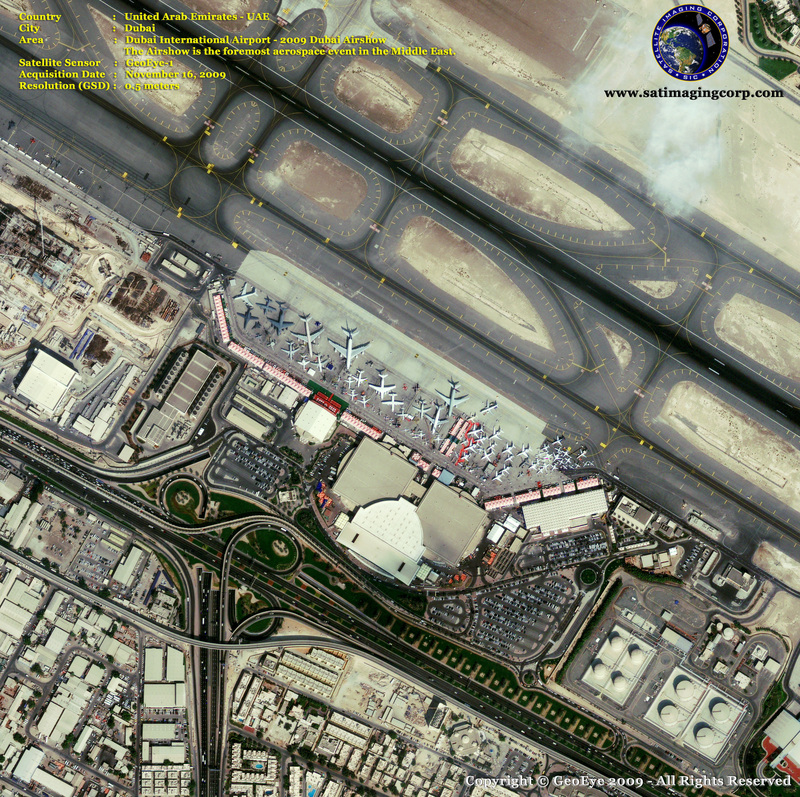 From Geoeye-1: The Dubai Air Show. (Go to this site, and keep clicking on the picture until you see it in all its glory.) Want to see the Hoover Dam? So what is your best “resolution” or tolerance that you can hold, or held, under any circumstances? We’re looking for your stories, so drop us a line. Satellite Imagery from Satellite Imaging Corp. This entry was posted on Tuesday, December 1st, 2009 at 5:55 am and is filed under Break Room. You can follow any responses to this entry through the RSS 2.0 feed. You can leave a response, or trackback from your own site.